Can you believe that we're halfway through Summer? We've had lots of stuff on the calendar, as well as plenty of time to relax at home. 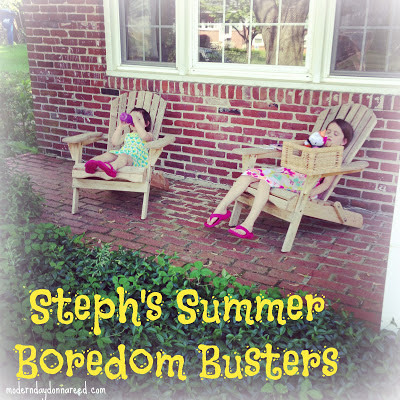 With the rain and the heat, it's been very helpful to have Summer Boredom Buster ideas on hand. We've had a few weeks of back-to-back open days, as well as a few stormy days and heat waves. 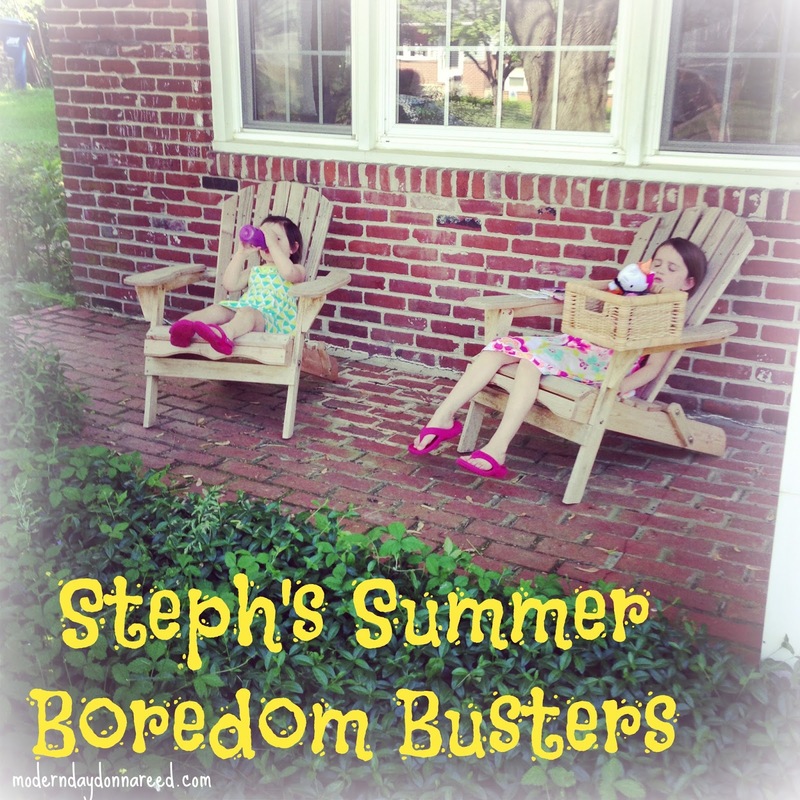 It's awesome to pull an idea out of the Boredom Buster bag when we're stuck indoors or in need of a new adventure. 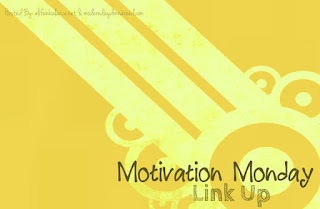 If you are hitting a Summer rut, check out this week's ideas, as well as the ideas from Week 1 and Week 2. Another great Summer Freebie! Last week I mentioned the Regal Cinema Summer Express, which offers $1 movies on Tuesdays and Wednesdays. This is a fantastic way to get out of the heat and enjoy some family friendly movies. AMF Bowling Centers are offering an equally exquisite deal: KIDS BOWL FREE. Heck yes. 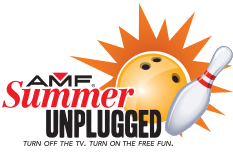 Sign your kids up for the Summer Unplugged program can bowl two games per day, every day, all summer long from open until 8pm! A great way to save money, as well as enjoy some family fun out of the heat! 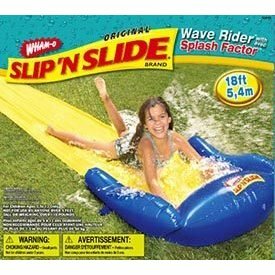 I feel like Slip 'n Slides were all the rage in the 80's when I was growing up. Which may explain why I am obsessed with getting one for my girls. You see, these colorful plastic sheet with a stream of water running off it from your hose may have been hot stuff back in 1985. But I never had one. I'm not even positive I ever used one as a kid. Possibly ever. So as we've been planning Chica's 5th birthday party that is in a few weeks, we've toyed with the idea of having a Water Party. Essentially, we want to buy a bunch of Slip 'n Slides (as well as a few of those dollar store plastic pools) and place them around the yard so the kids can just go to town sliding, slipping and swimming. Because, seriously? One Slip 'n Slide is clearly not enough. DIY: For $20-$30, pick up a few Slip 'n Slides and a plastic pool or two. Fill up the pools, soak the slides, and let the kids run wild in the back yard! This will be a perfect activity for this week, as we are anticipating another heat wave (ug). Aquariums are an amazing world of undersea adventures for landlubbers. My kids are always mesmerized to see the colorful fish, the amazing creatures that live in the deep. Many towns are accessible to an aquarium, but if you are more remote, consider making a day trip. Trips to aquariums are educational (you may be nurturing a budding marine biologist, you never know!). And the best part? Most aquarium exhibits are indoors (read: air-conditioned) during these brutally hot Summer months. I've shared about my adventures to our local aquarium, the Adventure Aquarium in Camden, NJ. It's a winning trip for kids of almost every age. 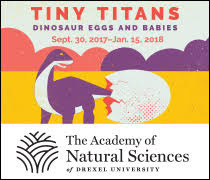 And BONUS for locals: I'm giving away a Family 4-Pack of tickets to the Adventure Aquarium for another day - so be sure to enter! There is nothing more satisfying than supporting your local community. Farmer's Markets are becoming more popular, and rightfully so. With disease and obesity on the rise, families are working to make healthier meals and to be more involved in reading labels. We want to know what is going into our bodies. We want to know where our food comes from. And what better place to get to know your food than from the farms and farmers they come from? I have had the honor to be the blogger and social media specialist for one of my local farmer's markets, The West Chester Growers Market, for several years now. I have come to have a deep appreciation and respect for our local farmers and artisans. I do my best to frequent as many farmer's markets during the week that I can. Farmer's Markets offer so many wonderful products and locally-sourced produce. There are often local musicians playing, and some even offer children's activities. It's not only a great way to support your local community, but to be involved with teaching your kids about healthy living and sustainability as well. 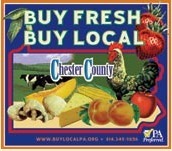 For more info on local farm fresh markets, click here for national listings. 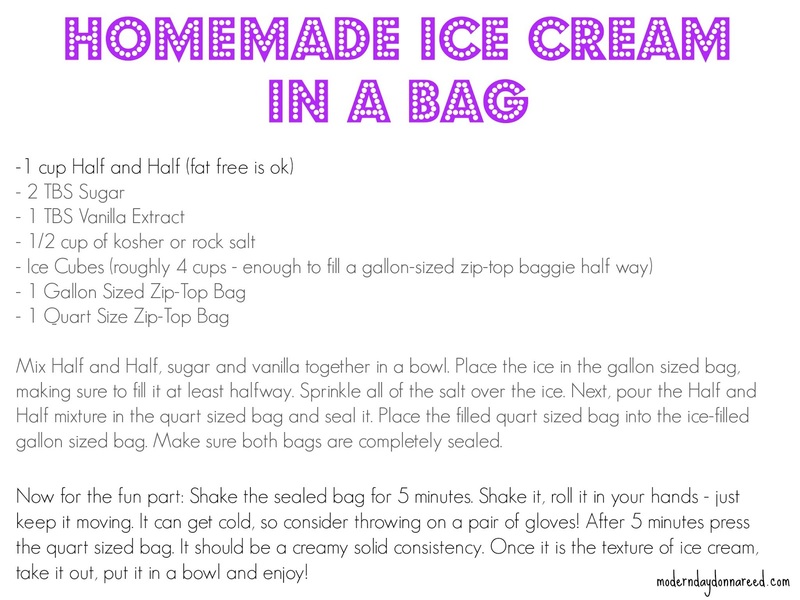 Summer Science Experiment: Make Ice Cream! About a month ago, Chica and I attended a Wegman's Cooking With Kids class. 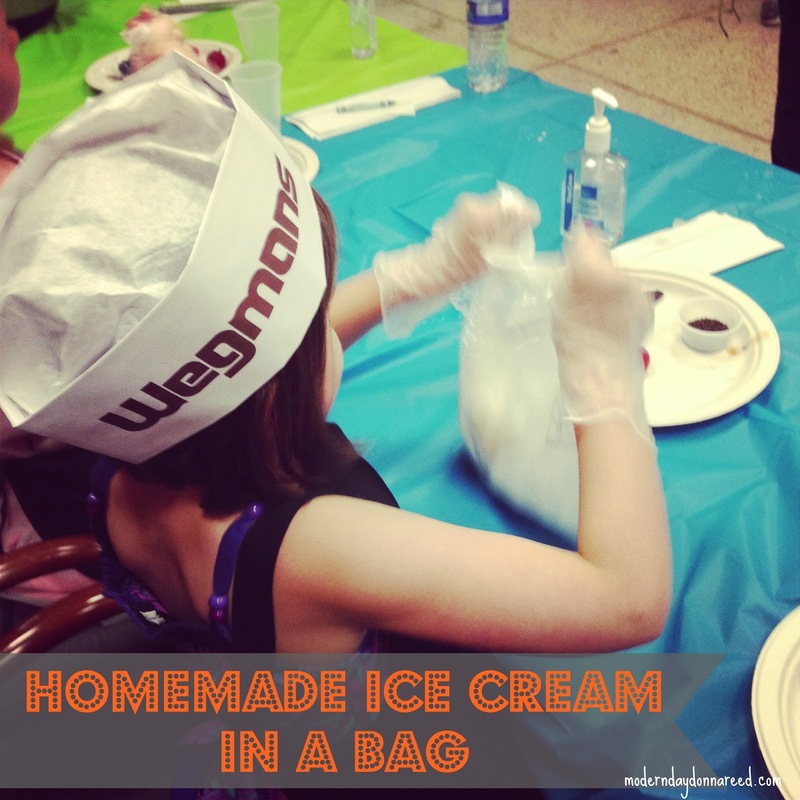 Many Wegmans offer these fun workshops once a month (so check with your local store for the next one!). Each class has a theme, and gives kids ages 4 and up the chance to learn to cook something. Last month's workshop was themed "Ice Cream," where we concocted various ice cream treats. One of the activities was making our own ice cream in a ziplock bag! It was very fun for me, as I used to do this same ice cream making activity at a Summer Science Camp where I was a counselor. Kids love it. It's simple and educational (you can discuss how salt lowers the freezing point of the ice, allowing the cream to freeze into ice cream). Where will your adventures take you to this week? What crafts, recipes or activities will you be trying?